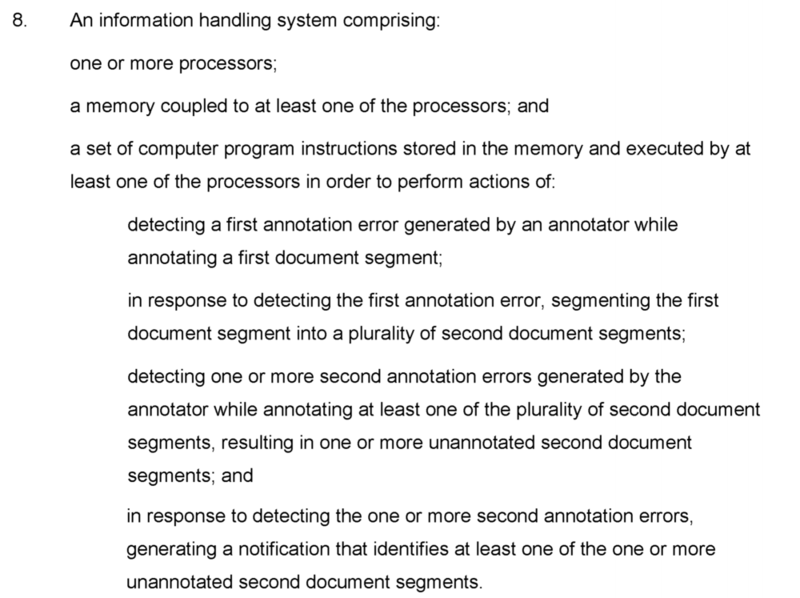 Now, the 101 rejection here seems like those typically affirmed by the PTAB (and Federal Circuit). The claims are directed to an information system, and there is only information processing including detecting and generating notifications. Electric Power, right?! The Examiner even cited Electric Power in the rejection. Plus, breaking down a problem into smaller sections could easily be found to be well-understood and routine. I’ll have to remember to stick the word “technology” after the alleged abstract idea next time I get such a rejection. While the result here seems correct, the analysis highlights the conflicting precedent and inherent uncertainty in the current Section 101 Jurisprudence. 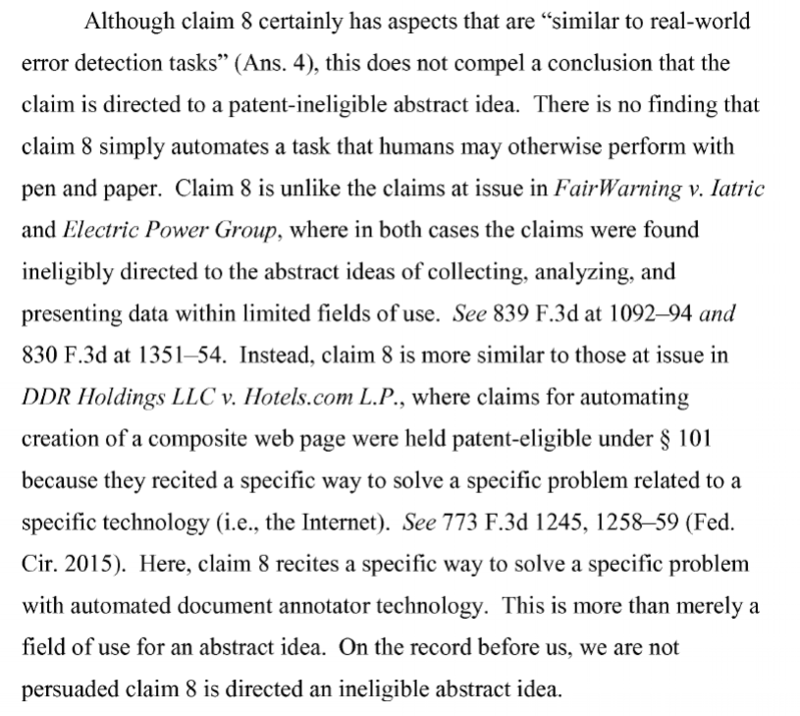 Nevertheless, the case confirms that tying the invention to solving a technical problem with technology can be an effective argument to overcome a 101 rejection when appealing to the PTAB.